Naval governors ran Newfoundland and Labrador's political, legal, and military affairs from 1729 through 1824. They were appointed by the British government to represent the crown and enforce its authority in the colony. Most governors lived on the island for only part of the year – usually from July until November – when migratory fishers were active in inshore and offshore waters. In addition to governing the colony, naval governors were officers in the Royal Navy and commanded the naval squadron safeguarding British fishing fleets at Newfoundland and Labrador. Henry Osborn became Newfoundland's first naval governor in 1729. He remained in office for two years. Most naval governors served for a period of between one and three years. Some made a very slight impact on Newfoundland and Labrador society during that time, while others implemented reforms that dramatically altered the colony's legal, political, and social development. Governors, for example, appointed the island's first year-round magistrates and helped to shape the colony's emerging court system. They also established jails, stocks, constables, and other institutions present in most other settled colonies of the 18th century. By the end of the 17th century, Britain had established a form of government at Newfoundland and Labrador to maintain law and order among its fishers travelling there each spring to engage in the migratory fishery. This government functioned on a seasonal basis because most British subjects only lived at the colony during the fishing season – usually from the late spring through early fall. Until 1729, fishing admirals governed British citizens at Newfoundland and Labrador. These were not military admirals, but rather the captains of fishing vessels. Each spring, the master of the first ship to enter a harbour at Newfoundland and Labrador became the highest-ranking English authority, or admiral, of that harbour for the season. Fishing admirals operated within the context of local customary law and were responsible for settling petty crimes, including theft and vandalism, and resolving disputes between fishers; they did not have jurisdiction over capital crimes and theft over 40 shillings. Fishing admirals governed British citizens at Newfoundland and Labrador until 1729. 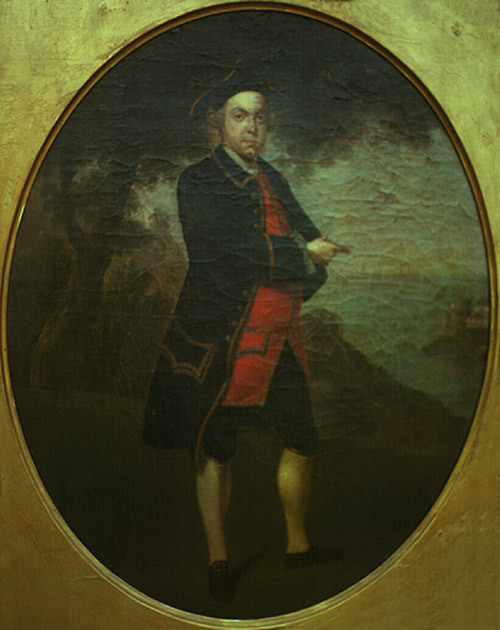 Arthur Holdsworth served as fishing admiral of St. John's harbour in 1700. Courtesy of Gordon Handcock, St. John's, NL. Original in the possession of Cmdr. Holdsworth, Holbeam Mill, East Ogwell, Devon. In 1699, Britain created judges of appeal under King William's Act able to review and either uphold or overturn decisions made by fishing admirals. The act stipulated that the commander of the naval convoy protecting the migratory fishing fleet would serve as appeal judge; naval commanders were not a part of the fishery and were instead officers in Britain's Royal Navy. Like fishing admirals, however, appeal judges were only present on the island during the fishing season. The island's slow but steady growth in permanent population during the early decades of the 18th century required the enforcement of laws during the winter. This became apparent in 1728, when a British vessel carrying Irish convicts landed at Bay Bulls in the fall while en route to Virginia. Some convicts disembarked at Newfoundland and spent the winter on the Avalon Peninsula, where local residents reported a severe outbreak of crime, including murder, that season. 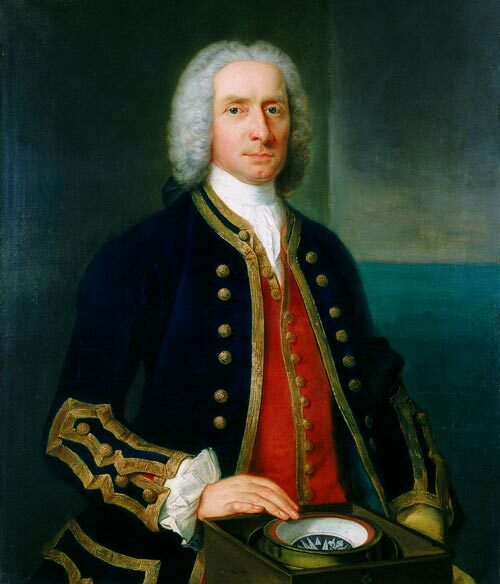 Recognizing a need to provide year-round protection for the colony's growing resident population, the British government commissioned Captain Henry Osborn to serve as Newfoundland's first naval governor in 1729. It also assigned him the task of establishing a winter judiciary system able to enforce laws after the fishing fleet and naval convoy departed each fall. To this end, Osborn divided the island into six districts (St. John's, Ferryland, Placentia, Bonavista, Trinity, and Carbonear) and appointed magistrates and constables in each. He also established jails at St. John's and Ferryland, a courthouse at St. John's, and ordered stocks and whipping posts built in the various districts to punish minor offenders. Osborn allowed magistrates to hear cases year-round instead of restricting their work to the winter months. Fishing admirals and West Country merchants initially opposed this decision, fearing it would reduce their authority within the fishery. However, a shortage of qualified local candidates meant merchants and their agents often served as magistrates, which helped to quell concerns from West Country interests. 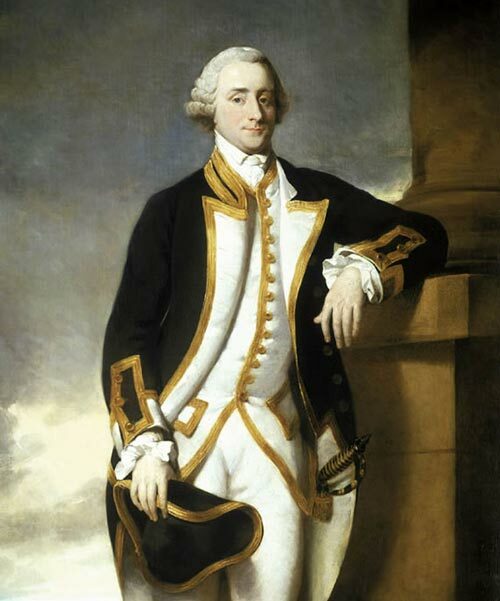 Osborn served as governor for two years and was succeeded in 1731 by George Clinton, commodore of the naval squadron at Newfoundland and Labrador. Clinton served for a single year and, although he did not have as great an impact on the colony's legal system as Osborn, he reinforced the civil magistrates' authority by siding with them against challenges from fishing admirals. Between 1729 and 1825, a total of 39 naval governors administered Newfoundland and Labrador. Some, like Osborn, introduced reforms that would have far-reaching impacts on the colony's social and political development; others were less interested in politics or civilian affairs and wished instead to advance their military careers by serving as commodores of the fleet for a year or two at Newfoundland. While the governorship was a temporary posting, military service was often a decades-long career in which many officers had much invested. Rodney (1719-1792) was governor of Newfoundland in 1749, and was one of 39 naval governors who administered the colony between 1729 and 1825. Portrait was by Sir Joshua Reynolds, ca. 1756, following Rodney's promotion to rear-admiral. All naval governors had to balance their political responsibilities with their military duties. As commodores, they had to follow orders from the British Admiralty and the Board of Trade; command their own flagship, as well as the entire naval squadron (which typically included several warships, frigates, and sloops); and protect British interests at Newfoundland and Labrador from enemy attack during a string of Anglo-French wars throughout the 18th and early-19th centuries. Added to this were their political responsibilities. Governors typically arrived at Newfoundland in June or July and departed again in October or November; this changed after 1817, when Britain made the governorship a year-round posting. The British Crown gave each governor a commission at the beginning of his term outlining his powers and many duties. While at Newfoundland, governors consulted with merchants on the functioning and economics of the fishery and reported to the Board of Trade. They also supervised the court system, appointed magistrates, and served as judges between 1749 and 1780. Governors oversaw the preparation of merchant ships and naval convoys for the return voyage to Europe, and also set policies on religion and other local issues. After returning to England, governors met regularly with merchants and government officials involved with the Newfoundland and Labrador fishery. Particular governors made greater impacts on Newfoundland and Labrador's legal, social, and political development. 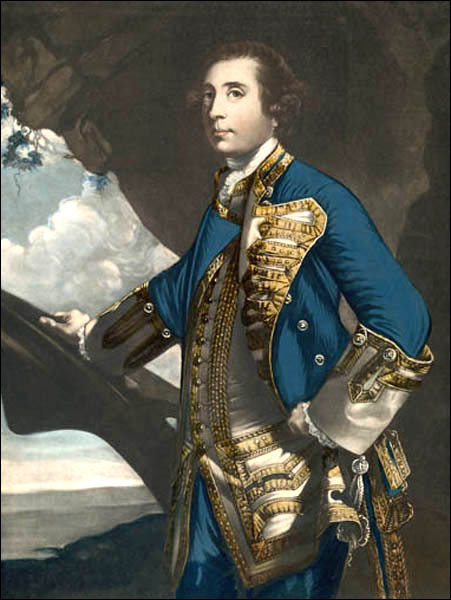 Governor George Rodney, for example, implemented a variety of reforms during his 1749 term, which resulted in the establishment of a local court of Oyer and Terminer (which dealt annually with all crimes except treason), a governor's court at St. John's, and the formalization of a system of surrogate courts in the outports presided over by naval officers the governor appointed to act as surrogate judges. Governor Hugh Palliser was also actively involved in the colony's administration during his 1764-68 term. Palliser encouraged the migratory fishery at Labrador, which came under Newfoundland jurisdiction in 1763, and established guidelines for fishers working there. He tried to develop peaceful relations with Aboriginal groups and encouraged the Moravians – a protestant sect that worked with Greenland's Inuit people – to establish mission stations in Labrador. Palliser also helped to draft the 1775 Act of King George III (also known as Palliser's Act), which he hoped would limit permanent residence in Newfoundland and Labrador. Sir Hugh Palliser, before 1775. Palliser encouraged the migratory fishery at Labrador and established guidelines for fishers working there. He also helped to draft the 1775 Act of King George III, which he hoped would limit permanent residence in the colony. The colony's resident population, however, steadily grew in the coming decades. By the time the Napoleonic Wars ended in 1815, enough people lived on the island to support a postal service, press, schools, hospital, and various charitable organizations. Some citizens believed Newfoundland and Labrador's system of government was outdated and campaigned for the establishment of an elected legislature that could represent the people. The movement gained significant support and in 1825 prompted the British government to grant Newfoundland and Labrador official colonial status and appoint its first civil governor, Sir Thomas Cochrane, who was nonetheless a naval officer. Newfoundland and Labrador acquired representative government in 1832, allowing its citizens to elect political candidates to a legislative assembly. For other related articles view the Government 1730-1815 section of the Government and Politics Table of Contents.